There’s nothing wrong with calling out what’s special about your destination as long as you don’t over promise. And given Cornwall’s cockiness, it likely wont’ let that happen. Tourist chiefs in the South West have told staff to stop using the word “county” or mentioning “England” when referring to Cornwall in promotional literature. Visit Cornwall boss Malcolm Bell, in an internal memo, said he wants the county to be described as a “region” or “Duchy”. Mr Bell said Cornwall should stand alone from the rest of the country in an effort to attract holidaymakers. Cornwall has not always enjoyed a good relationship with the rest of the country, and the move appears to chime with those who have called for Cornish independence. But Mr Bell said the move was designed to increase Cornwall’s fame as a holiday destination, rather than to curry favour with nationalists. 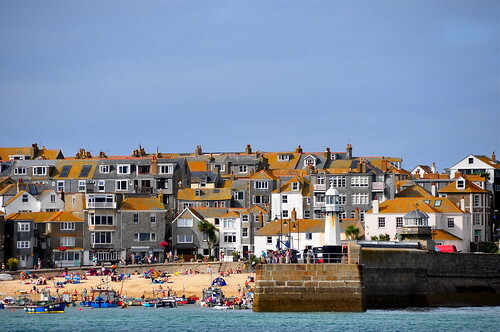 St. Ives, Cornwall. Photo by Armando Maynez. He said: “This was not done as a political gesture. Every county in England is fighting against all the others to encourage tourists to stay, and so we want to stand out from the crowd. “We don’t want to be ‘just another county’. We have a wonderful brand here, and so this was about promoting Cornwall as something unique. “We conducted research in 2011 which showed 75 per cent of tourists in Cornwall were aware that there is a Cornish language, and many thought that it was a good thing. It is part of our identity, and few regions in England can say they have that.